We are available for events every day from 8am-11pm. Office hours are M-F 8:30am-5:30pm. 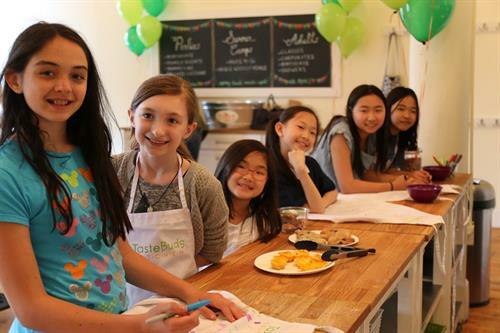 Taste Buds Kitchen is the premier culinary entertainment experience for kids, families and adults. 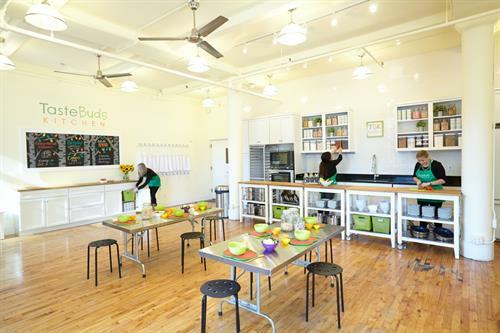 We host cooking classes and events for ages 2-99 in our bright and spacious kitchen studio that’s custom-designed for kids by day and is adult BYOB by night. 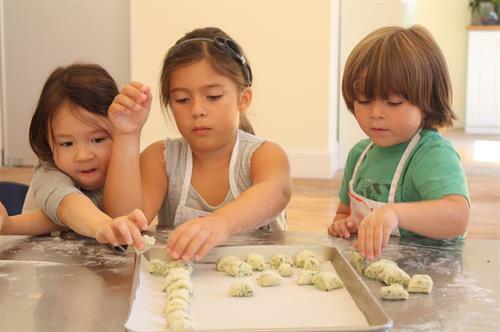 We offer after-school cooking classes (both in our kitchen and off-site in partner locations like schools), school-holiday and summer camps, family workshops, seasonal gingerbread decorating, private lessons, field trips and birthday parties. 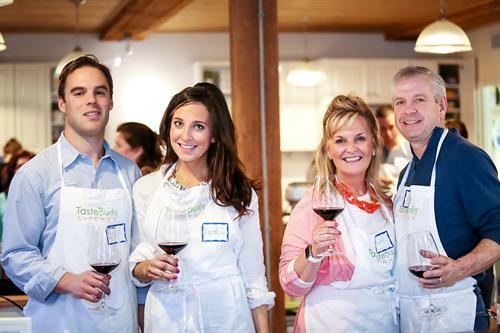 As an adult BYOB kitchen by night, our public adult workshops make the perfect date night or girls night out and our private events are ideal for ladies luncheons, bachelorette, bridal and baby showers, team building and corporate groups, or and any occasion worth celebrating. Find us within the Bannockburn Green shopping center at the intersection of Waukegan Road & Telegraph Road.